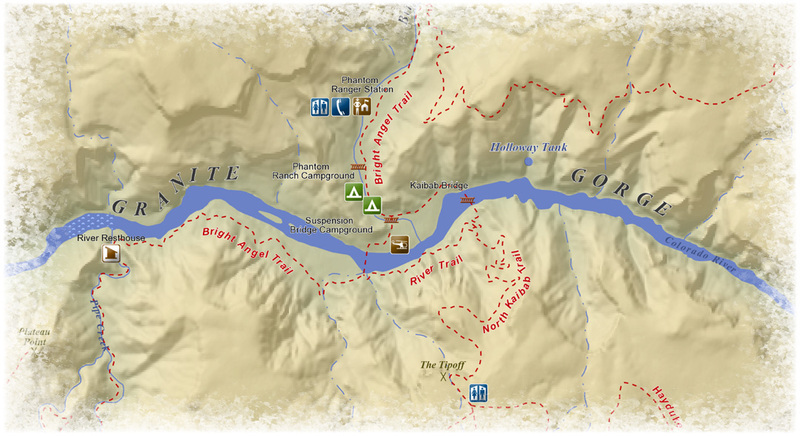 Blog – amTopo by Apogee Mapping, Inc.
Monte Diablo Lake, located on the eastern slope of the Sierras, used to be a beautiful 140-feet deep, clear, sapphire blue alpine gem ringed by towering peaks. Today, it is still all of these things, however, it has since been given a new name as a result of a violent event that happened on September 23, 1871. The transcontinental railroad had been robbed for the first time out west, the amateur crooks quickly captured, then jailed in Carson City, Nevada. Next, came a riot, followed by a brazen jail escape, with 29 convicts breaking out and fleeing. Six of those men traveled together, heading south towards the rugged, imposing mountains hoping to slip into California undetected. Thinking they were being followed by a lawman on horseback, the gang of six circled around and brutally murdered Billy Poor, a young man who was making his first mail run as a new Pony Express rider. This inflamed the local community who immediately formed a posse intent on capturing and hanging the killers. 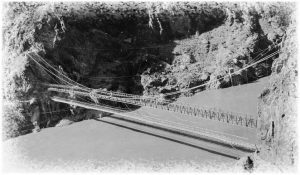 Several members of the posse eventually caught up with three convicts in Monte Diablo Canyon (the other convicts had slipped away earlier) and a gun fight erupted near the head of Monte Diablo Creek. 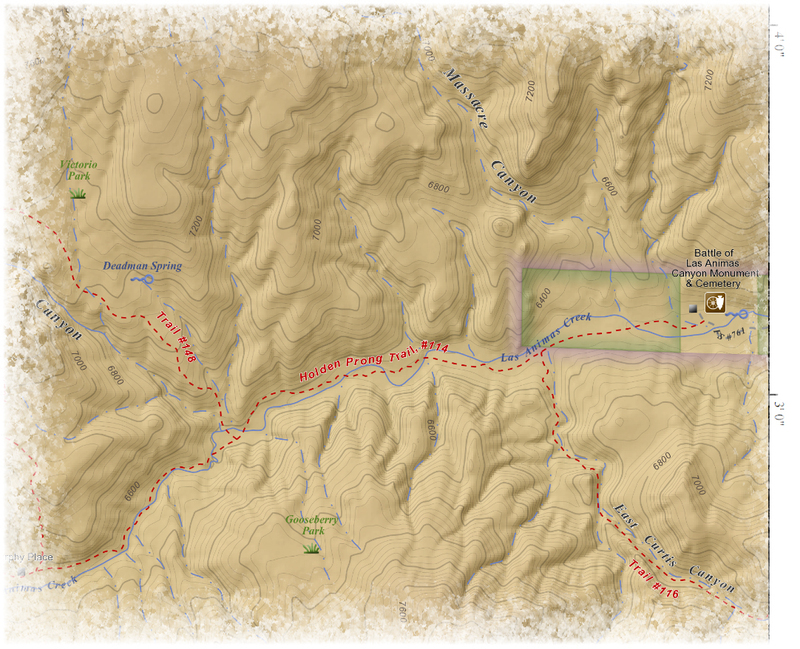 During the fight, posse members Robert Morrison and Mono Jim were shot and killed, another was wounded, and the convicts escaped towards Bishop. Four days later, a separate posse finally captured the three convicts, and local vigilantes hanged two, with the third being returned to jail. To honor the fallen, Monte Diablo Peak was renamed Mount Morrison (12,277′), and an adjacent summit was named Mono Jim Peak (10,896′). Monte Diablo Creek and Lake were renamed Convict Creek and Convict Lake, respectively. 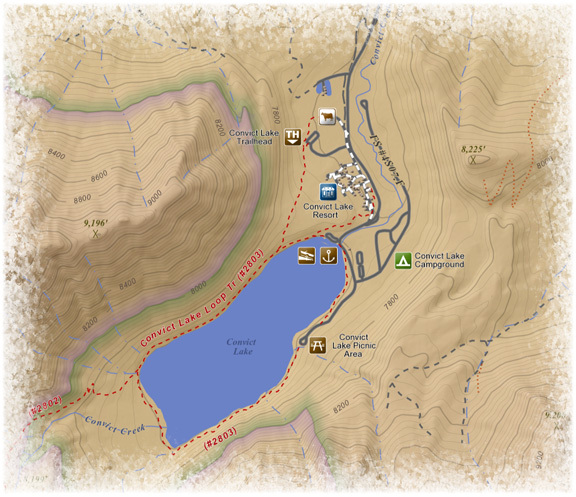 Today, Convict Lake is an extremely popular destination for anglers, and it also provides access to the unrivaled John Muir Wilderness for equestrians and hikers seeking solitude on the numerous trails and high peaks of the Sierra Nevada. 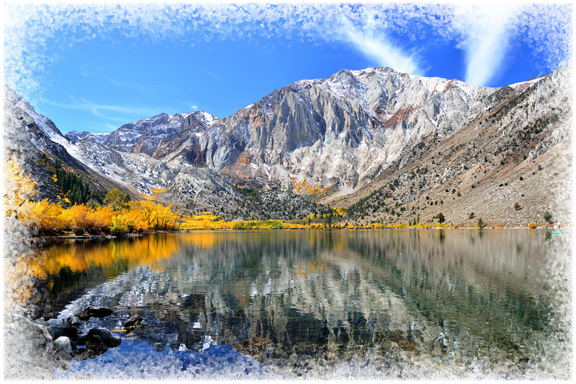 Nowadays, Convict Lake offers up tranquil waters, serene skies and magnificent vistas to those looking to escape everyday stresses. Convict Lake also has some very interesting non-violent history, and has even been featured in various movies, TV shows, and books. You can read more about that on Wikipedia. My husband and I recently did some hiking and exploring in Comb Ridge with the objective of locating the extensive petroglyph display known as Procession Panel. 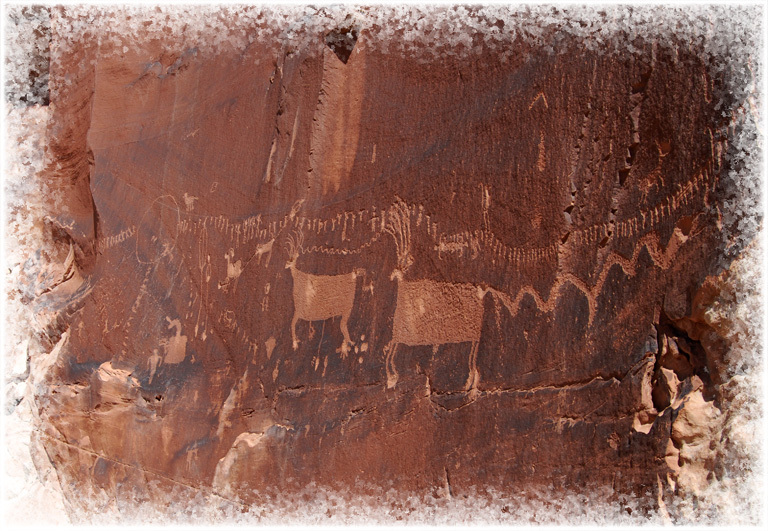 While not exactly a secret, locations of many Anasazi ruins and rock art sites throughout the Four Corners region are kept under wraps by history enthusiasts, public lands employees and scientists such as archaeologists, anthropologists and the likes for fear of vandalism and over-visitation that can cause permanent damage to such sites. 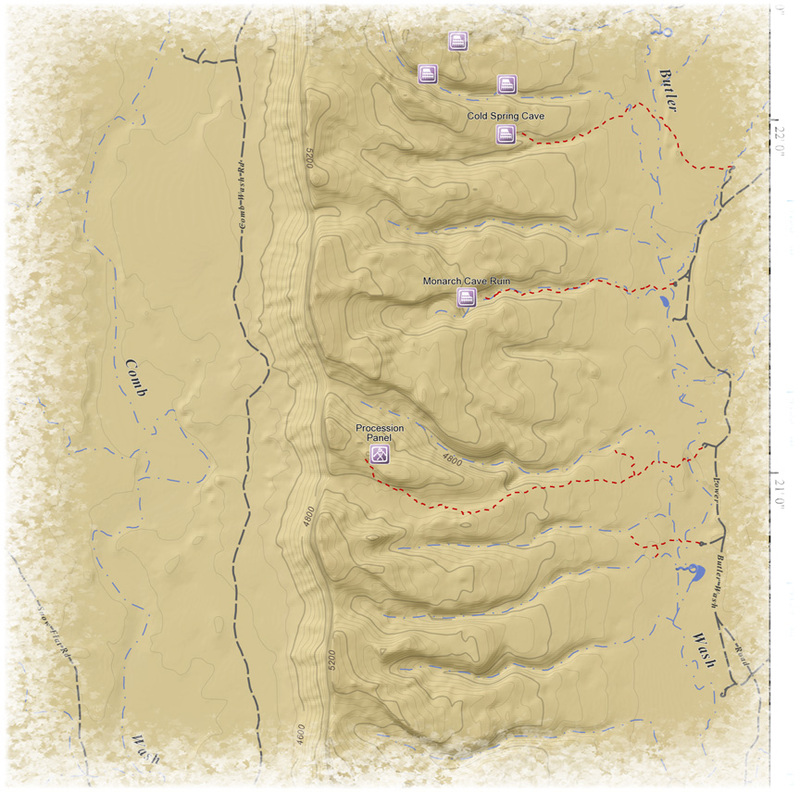 However, with a little research and some decent map-reading skills, most folks can figure out where some of the more significant sites are located. 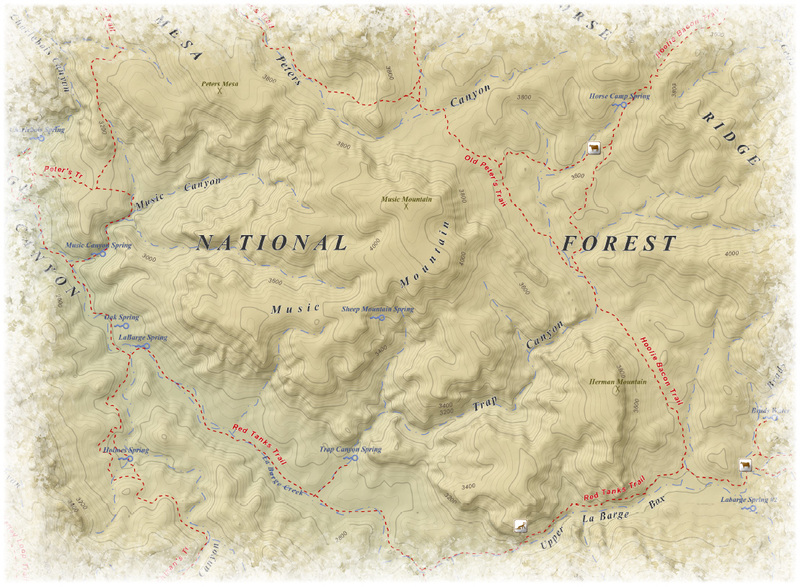 (Most sites are located on public lands managed by the BLM and U.S. Forest Service.) Increased public awareness efforts by officials are also doing much to enlighten visitors about how best to treat such fragile sites so that they may be preserved for generations to come. Procession Panel is located in Comb Ridge, which is a unique geologic formation called a monocline that extends approximately 80 miles north-to-south across the Arizona and Utah border. 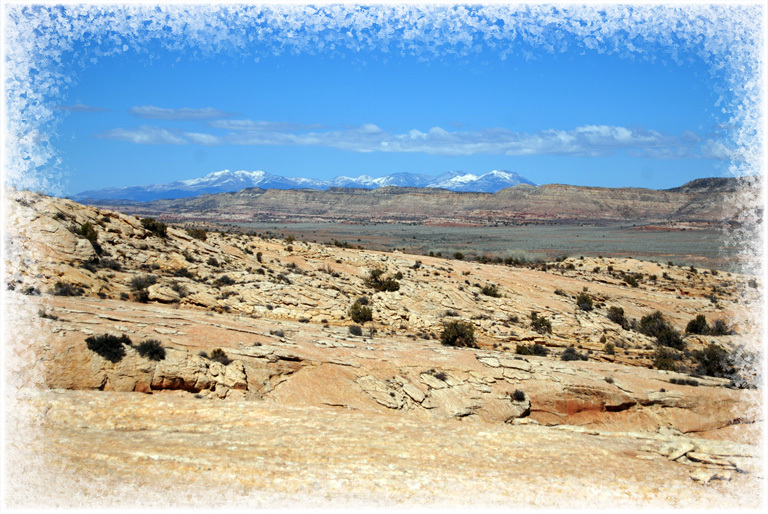 Comprised of sedimentary layers (Navajo Sandstone on the eastern, gently sloped side, Wingate Sandstone forming the steep, western cliffs), this “hogback” is riddled with alcoves, springs and canyons. The riparian Comb and Butler Washes paralleling the ridge on both sides provided water, game and edible and medicinal plants, making this region ideal for habitation by the Anasazi. Believed to be rock art dating from the Basketmaker III period, which pre-dated the more famous Pueblo I, II, and III periods best known for their impressive cliff dwellings and pottery, Procession Panel depicts a scene of numerous (179 is one documented count) figures called anthropomorphs that appear to be marching from multiple directions towards a specific destination taking the form of a circle. Zoomorphs are also present, and include several deer or elk, as well as a mountain sheep. At least two anthropomorphs have birds atop their heads, several are holding crooks, and many are holding up one arm carrying some type of object that resembles a torch (in some cases, these lines or objects look almost like fingers). Some experts believe Procession Panel is a migration story, and quite likely there was significant spiritual meaning to some, if not all of the panel’s elements, although it is unlikely we will ever fully understand what the ancient artists intended. 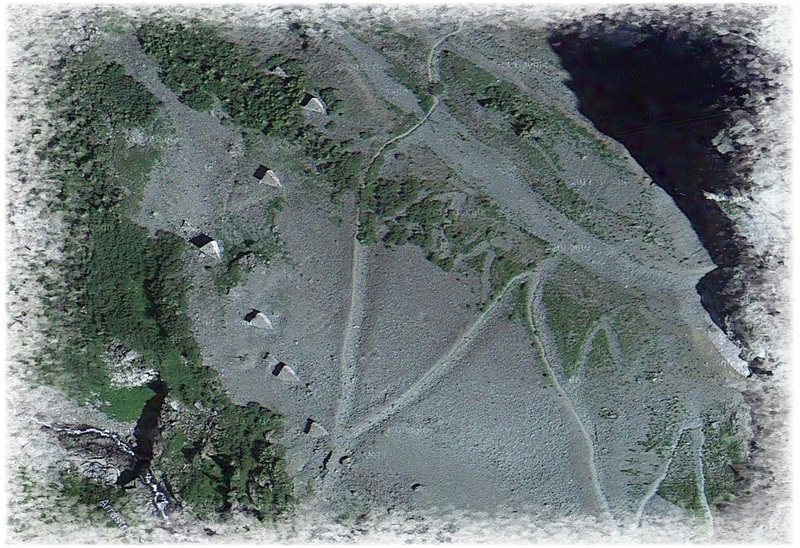 Aside from the impressive and mysterious rock art itself, the setting is perhaps equally gripping. One can imagine the artist (or artists) working quietly as the sun set to the west. Perhaps they were within signaling distance of other groups across the wash; perhaps they were teachers responsible for recording their culture’s history and enlightening the next generation. Whatever the case, we are fortunate to have sites like Procession Panel still in existence and so accessible. For those of you who are rail buffs, you may already know a bit about this feature, or at least, its function. The Denver & Rio Grande Western Railway historically operated between Denver and Salt Lake City, with numerous spurs connecting to the various mining and lumber towns scattered across the Rockies. Today, most of the original line has long been abandoned and removed. One particularly popular stretch still in operation, however, is a 45-mile section run by the Durango & Silverton Narrow Gauge Railroad (D&SNG), which takes tourists between these two quintessentially western mountain towns and follows the scenic Animas River through steep, forested terrain. Located approximately 26 miles north of Durango, the Cascade Canyon Wye was constructed in 1981 to provide the D&SNG a place to turn around during winter excursions when heavy snow pack prevents the train from proceeding all the way to Silverton. In addition to the triangle-shaped track that allows the train to make a three-point turn and reverse direction, a structure has also been erected on the banks of the Animas that serves as a lunch area for winter passengers. The next few miles of track north of Cascade Canyon Wye pass additional historic sites, such as the impressive steel Tefft Bridge built in 1887 (named for an early forest ranger Guy Tefft), and an abandoned boiler. Per Robert T. Royem, author of America’s Railroad: The Official Guidebook, this wood and coal powered boiler came from Locomotive 32, the “Gold King” and was sacrificed by the side of the tracks in order to power a sawmill and other machinery used by the railroad company around 1910-1911. A little farther up canyon, Cascade Siding (no longer in existence) was used by ranchers to load and transport livestock from the area. 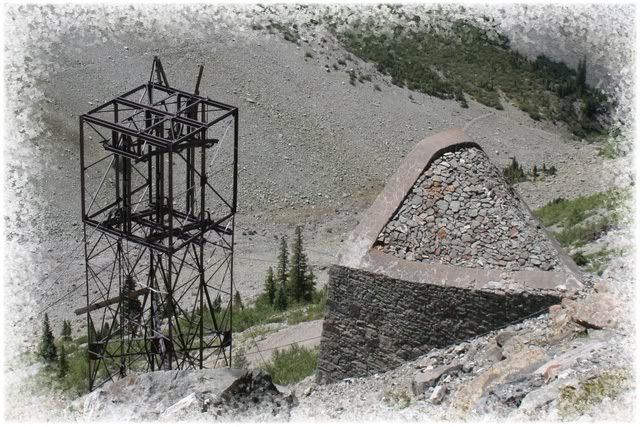 A section house was also located here at one time, and the siding saw additional action as recently as January 2001, when the D&SNG assisted the Colorado Division of Wildlife in releasing a number of bighorn sheep into the surrounding Weminuche Wilderness. To anyone planning a visit Southwest Colorado: be sure to check out Durango and ride this infamous train (think Butch Cassidy & the Sundance Kid). You will revel in the natural beauty of the region and see plenty of local history come alive while on the rails! Having spent quite a bit of time hiking in the Superstition Wilderness, I’ve often wondered about the alluring name of this particular mountain, as well as nearby features, Music Canyon and Music Canyon Spring. Located in the heart of the wilderness between the Red Tanks Trail on the west and Old Peter’s and Hoolie Bacon Trails to the east, Music Mountain is situated amongst some of the most spectacularly rugged yet beautiful Sonoran desert terrain. Was the name’s inspiration some glorious turn-of-the-century orchestral work? Was it coined after listening to a particularly lovely babbling brook or native songbird? 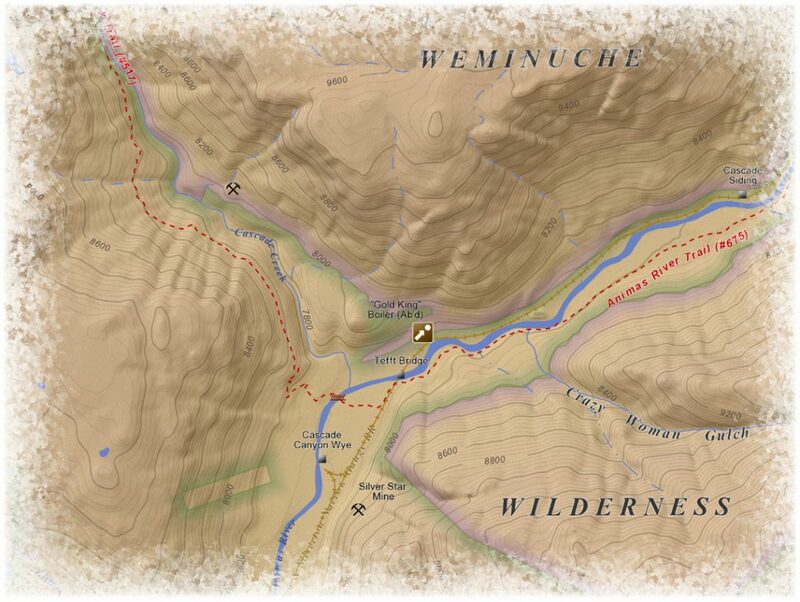 Was a young Apache maiden overheard singing by a miner in search of treasure? I assumed it was something joyous or romantic, but instead learned of a bit more mysterious and possibly even spooky origin. Other historians have claimed that the mountain was named for a local cattleman with the last name Music, but no documentation has ever been produced to support this theory. Anyone who has ever hiked in the Superstitions can attest to the strange vibe that is sometimes felt within the wilderness. Perhaps it is the depth and variety of lore and legend tied to the landscape. Perhaps it the serene, yet edgy isolation one feels after hiking just a few miles in to such a rugged place. Whatever the case, because the origin of Ray Howland’s name for the mountain remains somewhat mysterious to this day, it is a perfect fit for the mysterious and romantic place forever known as the Superstition Wilderness. I’m currently doing some work in Boulder, Colorado and thought it would be appropriate for my very first post to feature a local quadrangle – Eldorado Springs. 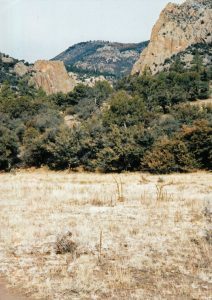 Those of you familiar with the area have most likely visited Chautauqua Park and hiked its trails just southwest of town. But do you know the history of the name? I did not, so naturally I looked it up. I assumed it was a Native American word (which it is), but did not know it means roughly “foggy place.” It first originated in New York, and Chautauqua County, NY was the first jurisdiction to assume the name. 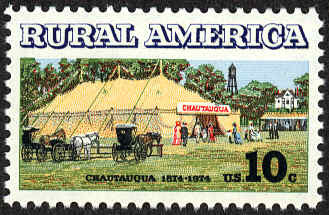 Chautauqua (pronounced “sha-taw-kwa”) soon became the term for an adult education and enlightenment movement that began in the above-mentioned county. In 1874, a local Methodist summer camp began offering secular activities in addition to the standard religious offerings. At the time, cultural enrichment and travel was a luxury enjoyed only by the very wealthy, so the ability for rural families to experience the arts and listen to guest lecturers in a natural setting became wildly popular. Because of the success and appeal of the “Mother Chautauqua” as the original New York Institution was later nicknamed, several hundred “Daughter Chautauquas” were eventually established nationwide by the mid-1920’s. With the advent of radio and television and improved transportation, rural Americans were no longer so isolated and starved for culture and education. The popularity of Chautauquas steadily diminished and today, Colorado’s Chautauqua Park is one of only three remaining Chatauquas in the United States. It was established on July 4, 1898 and is currently listed on the National Register of Historic Places.